Join your local community for a simulcast of the sold-out event, held at the Portland Art Museum on June 13 at 7:30 p.m. Click here for more information. This event will be livestreamed and recorded for rebroadcast on our podcast, The Archive Project. Click here to visit the livestream page. The event will feature tributes from writers and friends who represent the wide-ranging influence Le Guin has had on international literature for more than 50 years, including Margaret Atwood (by video), Molly Gloss, Walidah Imarisha, Jonathan Lethem, Kelly Link, China Miéville, and Daniel José Older. Andrea Schulz, Le Guin's editor at Harcourt, and Julie Phillips, Le Guin's biographer, will also speak at the tribute. 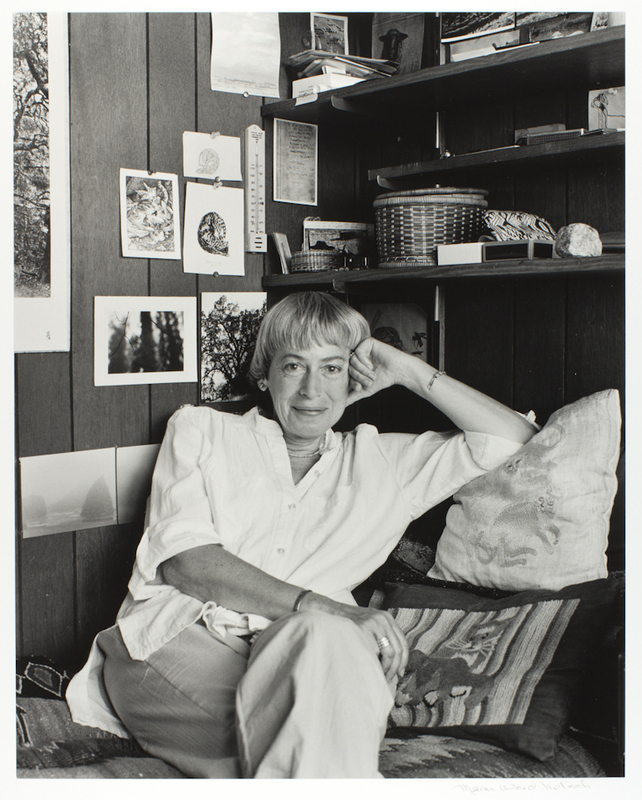 The tribute will include rare documentary footage of Le Guin, along with photos and images from her life and work. As a genre-defying writer, Ursula authored more than 50 works, including novels, poetry collections, and children’s books that explore issues of race, gender, and environmentalism. Her books have been translated into more than 40 languages and have sold millions of copies worldwide. Her many honors include the Hugo, Nebula, National Book Award, and PEN-Malamud. In 2014, she was awarded the National Book Foundation Medal for Distinguished Contribution to American Letters. While her speculative fiction urged readers to explore new worlds and distant futures, Ursula was an active guardian of her writing community and her home state of Oregon. She was an ardent supporter for writers and independent publishers and actively used her platform to defend free speech. Ursula was involved with Literary Arts for 31 years, as a participant, trusted advisor, and ardent supporter. Her dedication helped shape our programs that serve more than 20,000 readers and writers each year.